The libidinal-object transference which manifests itself during treatment can be observed against the background of the narcissistic transference of the induction due to a splitting. The hypnotic relationship gratifies a wish or an unconscious fantasy (often masochistic) which can vary from one object to the other. These fantasies can be explored in the preliminary interviews and help to determine a particular subject’s receptivity to hypnosis and the choice of the mode of induction, permissive or authoritarian, by bodily relaxation or by double-bind, by learning or by other methods. This does not mean, in any way, that the hypnotic state is based on the gratification of fantasy. The type of induction will affect the transference, an often conflictual influence. The choice of the mode of induction may oppose the unconscious wish of the subject, who would prefer an alternate form of induction, which might have facilitated his receptivity to hypnosis. It is important to study the nature of the individual and his problem during the preliminary interviews and to prepare the patient for the hypnotherapeutic work. Any hypnosis is essentially a self-hypnosis and, as we have already seen above, the role of the hypnotist is to facilitate and encourage the experience. His power depends on the fantasy of the subject, who himself will decide on the depth of the trance for therapeutic purposes and in relation to the transference. A therapeutic permissive induction with a minimum of manipulation and intervention will recall the psychoanalytic situation with its fundamental rule of ‘free association’ and facilitate greatly the hypnoanalytic work. We will ask the individual to relax, become aware of his body and of himself, progressively suspend his conscious awareness, experience his preconscious thoughts (unconscious) and the potential for change—and all these at his own rhythm. For the majority of individuals, the alteration of the state of consciousness, a relinquishment of the controls, is new and may provoke a certain degree of anxiety, given that he feels threatened by unconscious desires and fantasies and is encumbered by conscious prejudices. The therapist must, therefore, demystify and clarify the situation and reassure the patient within certain limits so as not to impair his receptivity to hypnosis. The previously held belief that resistances are being bypassed under hypnosis has not been validated. They are comparable to those observable during psychoanalysis. They are equally manifest during induction, in trance, in the state of wakefulness, each time the subject is faced with anxiety or where an important need or desire is thwarted. As in any psychoanalytic treatment, we notice during the induction positive reactions due to the reduction of tension and to the unconscious gratification caused by the merged narcissistic hypnotic relationship and antagonistic reactions provoked by the fear of irrational dependency and emerging sexual and aggressive impulses. The intense regression, the reactivation of elements of grandiosity, fusion and fragmentation make the resistances more marked. 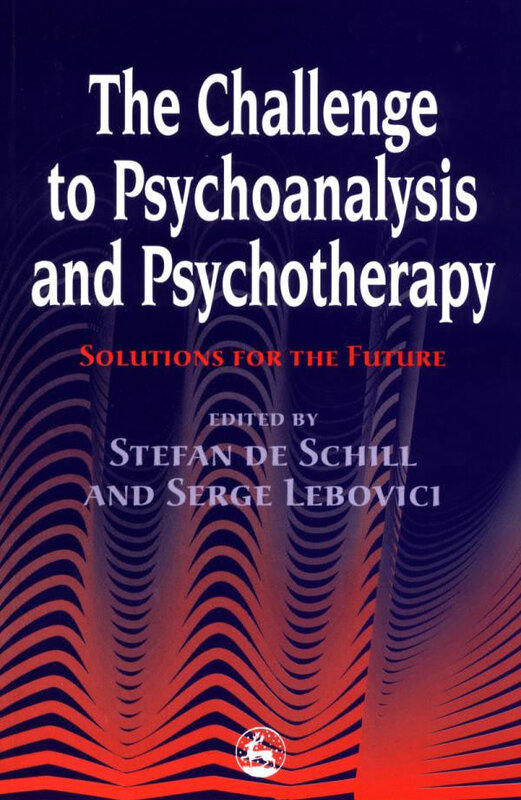 As in psychoanalysis, we face two fundamental types of resistance: those connected to the recognition of unconscious drives and the recollection of repressed traumatic experiences and those elicited by the transference. The use of hypnosis I have outlined is vastly different from that prevalent in the 1900s witnessed by Freud at the Salpetriere by Charcot or in Nancy by Bernheim. At the turn of the century the object was to reinforce repression, circumvent resistance and prohibit the symptom to exist with no concern for its origin. The abandonment of hypnosis by Freud must be historically situated in the context of the psychiatric climate and empiric positivistic scientific current of the period. Due weight must also be given to the progressive elaboration of psychoanalytic theory, whose ultimate discoveries have influenced hypnotic therapy and lead to the possibility of hypnoanalysis. We have to add that while Freud renounced hypnosis before formulating his theory of transference, he discovered the latter during the hypnotic trance of a patient (Chertok and De Saussure 1973). Freud rapidly became convinced that the recollection of traumatic situations alone could not cure or even alleviate neurosis, that this hypothesis did not hold up, and for a therapy to be effective would require a ‘working through’, a reconditioning of long duration, an alteration of the defenses and lifting of the resistances. The change—if it were to produce a lasting improvement—should not rely on suggestion alone but necessitated a radical restructuring of energy cathexis. These considerations are all as valid for the hypnotic treatment when conceived today as hypnoanalysis. The field of hypnotic technique by far transcends that of therapeutic suggestion. Hypnosis and suggestion are not equivalent, although the hypnotic state greatly facilitates suggestion. The reaction of he who is utilizing hypnosis will be conditioned by his expectations and his preconceptions. From the clinical standpoint, we will point to countertransference and to the disposition of the therapist to accept and apply hypnosis and to the anxiety (conscious or unconscious) that its utilization provokes as a consequence of the reactivation of the narcissistic drives of grandiosity and omnipotence. There is no doubt that hypnosis offers theoretical and therapeutic potential. As hypnoanalysis, it is an important instrument of psychic exploration. At the same time that it rests on psychoanalysis, there are marked differences in its manipulative aspects, its multiplicity and mobility of the transference it calls forth. The theoretical and practical problems that it raises must be confronted, as in any scientific research without prejudicial ideas. Perhaps, in consequence, this new line of research that represents hypnoanalysis will contribute to elucidate the nature of the archaic phenomenon of transference. Brown, D. and Fromm, E. (1986) Hypnotherapy and Hypnoanalysis. Hillsdale, NJ: Lawrence Erlbaum Associates. Chertok, L. and De Saussure, R. (1973) Naissance du Psychanalyst. Paris: Payot. McDevitt, J.B. and Settlage, C.F. (1971) Separation and Individuation: Essays in Honor of Margaret S.Mahler. New York: International Universities Press. Fass, M.L. and Brown, D. (1990) Creative Masters in Hypnosis and Hypnoanalysis: A Festschrift for Erika Fromm. Hillsdale, NJ: Lawrence Erlbaum Associates. Ferenczi, S. (1909) ‘Introjektion und tibertragung’. Jahrbuch flir Psychoanalyseund Psychopathologische Forwschung, 422-458. Sigmund Freud Vol.Iv. London: The Hogarth Press. Freud, S. (1921) ‘Group psychology and the analysis of the ego: On being in love and hypnosis’; The Standard Edition of the Collected Works of Sigmund Freud Vol XVIII. London: The Hogarth Press. Gill, M. (1982) The AnalysIs of Transftrence. Psychological Issues—Monograph No. 53. New York: International Universities Press. Gill, M. and Brenman, M. (1959) Hypnosis and Related States. New York: International Universities Press. Greenberg, L., Sor, D. and Tabak de Bianchedi (1990; 1977; 1971) New Introduction to the WorkofBion. New York: Jason Aronson. Kernberg, O. (1976) 0bject Relations Theory and Clinical Psychoanalysis. New York: Jason Aronson. Kernberg, O. (1984) Severe Personality Disorders. New York: Jason Aronson. Kohut, H. (1959) ‘Introspection, empathy and psychoanalysis’ .Journal of American Psychoanalytic Association, 7,459-483. Kohut, H. (1977) Restoration of the Self. New York: International Universities Press. Mahler, M.S. (1968) On Human Symbiosis and the Vicissitudes of Individuation. In collaboration with Manuel Forer. New York: International Universities Press. Mahler, M.S., Pine, F. and Bergman, A. (1975) The Psychological Birth of the Human Infant. Symbiosis and Individuation. New York: Basic Books. Palaci, J. (1978) ‘Transfert et narcissisme’. Revue Française de Psychanalyse, 42, 39-64. Schilder, P. (1921) The Nature of Hypnosis. (Transl. by Gerda Corvin.) New York: International Universities Press. Schilder, P. and Kauders, O. (1926) Lehrbuch der Hypnose. Wien und Berlin: Springer. Winnicott, O.W. (1958) Through Pediatrics to Psychoanalysis. London: Hogarth Press. Winnicott, O.W. (1965) The Maturational Process and the Facilitating Environment. New York: International Universities Press.